We’ve made Butterbeer and butterbeer ice cream. But we hadn’t yet combined Butterbeer with my favourite food– popcorn. 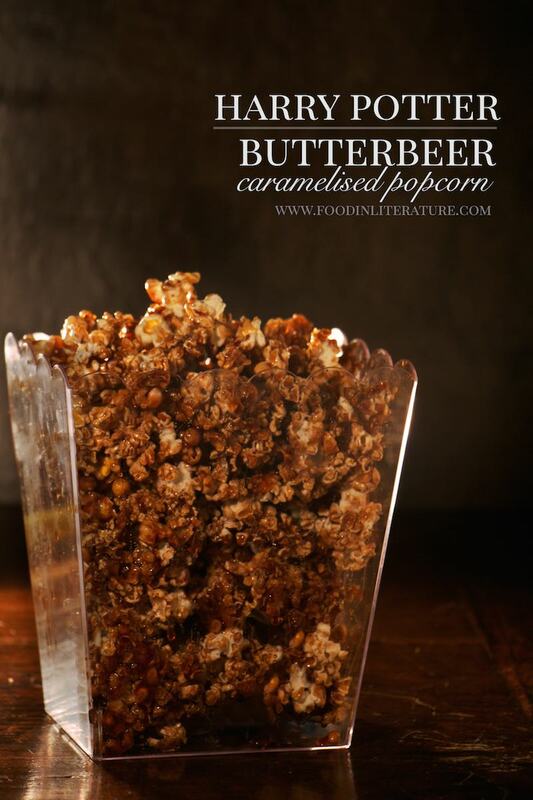 It’s ‘the’ movie food, so no Harry Potter movie night is complete without a bowl of this butterbeer caramelised popcorn. Pour popcorn kernels into a brown paper lunch bag, fold over edge and tape with masking tape. Microwave on high for approximately 2 minutes. In a medium saucepan, add in the ale, sugar, corn syrup and butter. Bring to a simmer and allow to cook until it reaches hard crack stage (300° F–310° F). Turn off heat, stir in pumpkin pie spice, and pour over the popcorn. 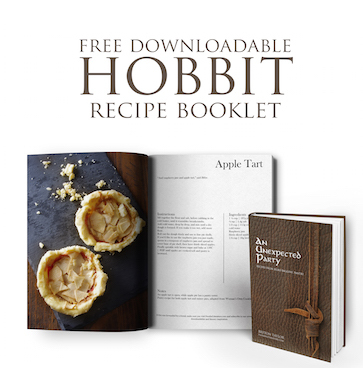 Stir well, pour onto baking tray and place in oven. Bake for 40 minutes then set aside to cool.